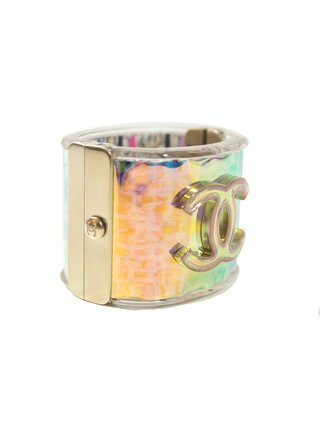 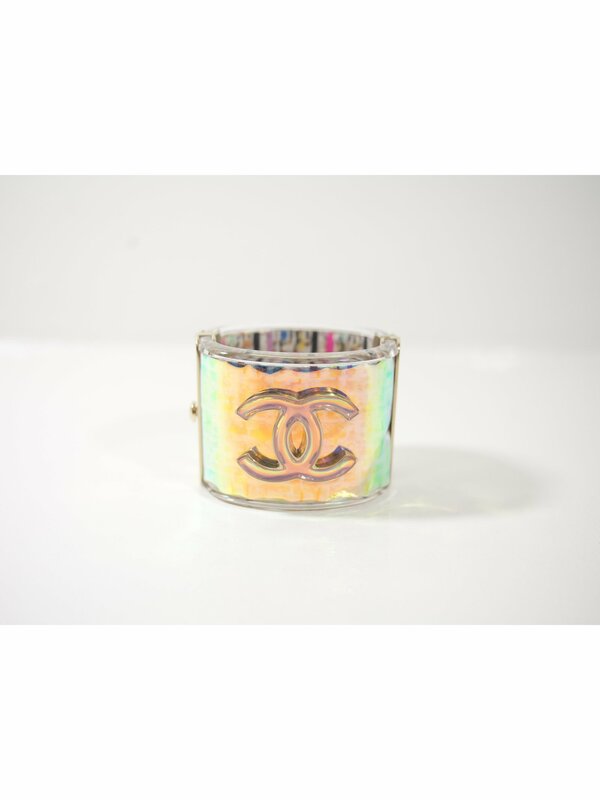 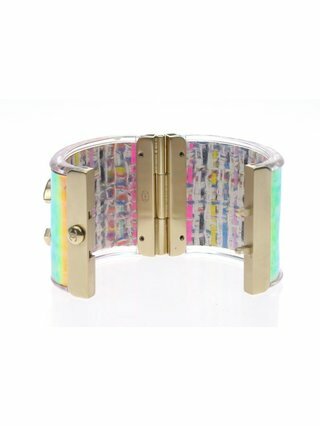 Large iridescent Chanel CC signature cuff with tweed and gold hardware. 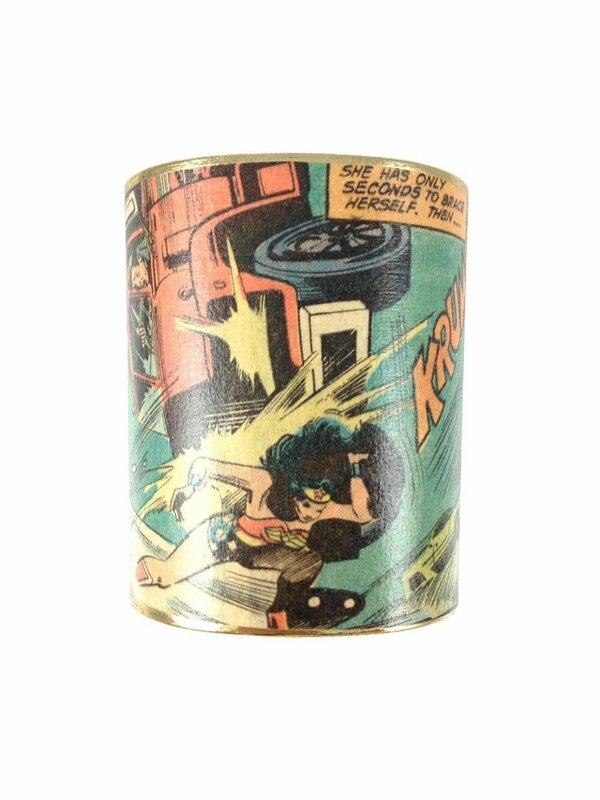 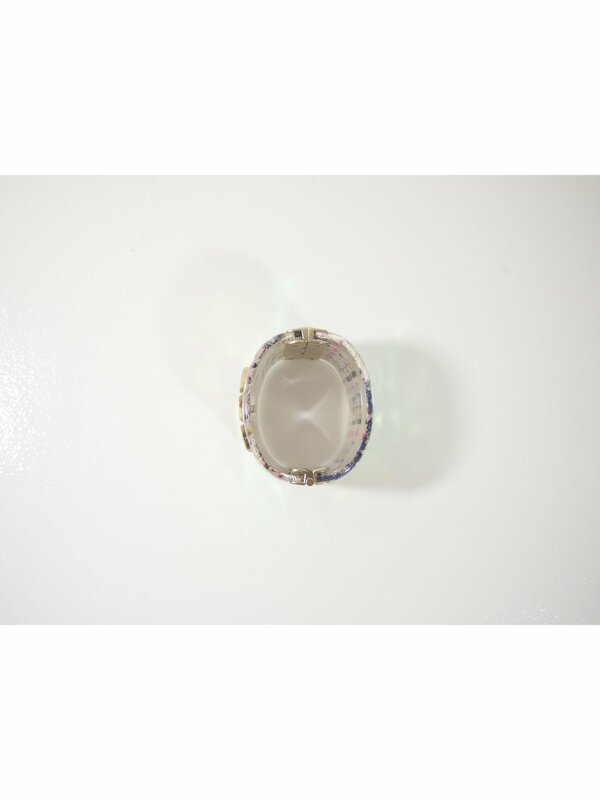 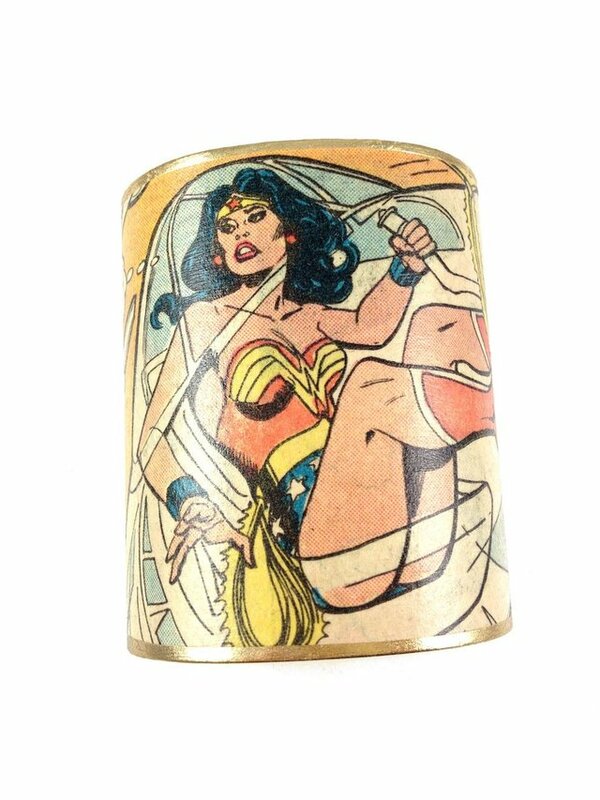 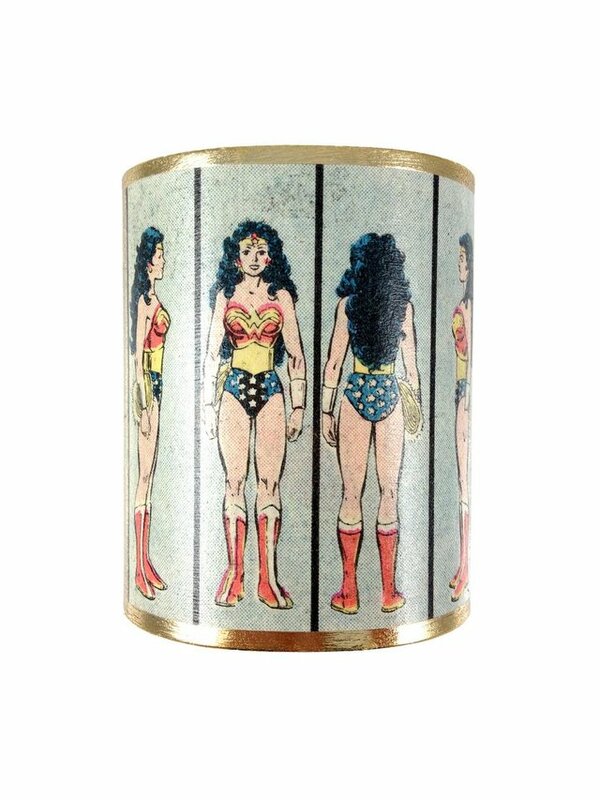 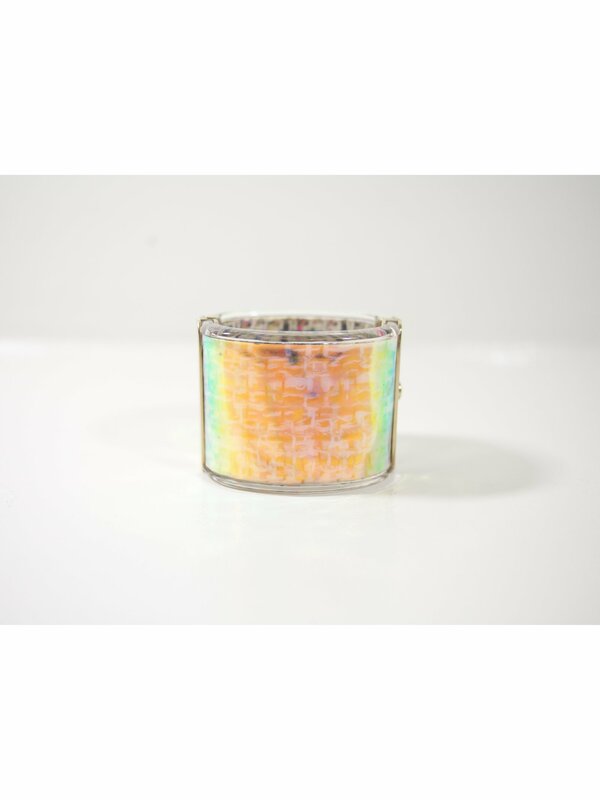 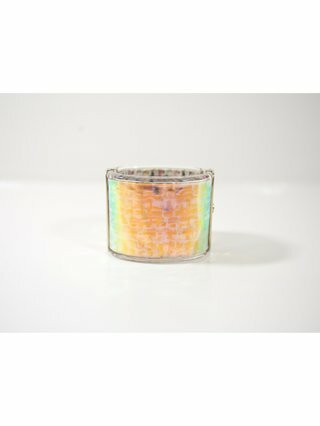 This hologram cuff features an interlocking CC logo on the front and classic multicolor tweed on the interior. 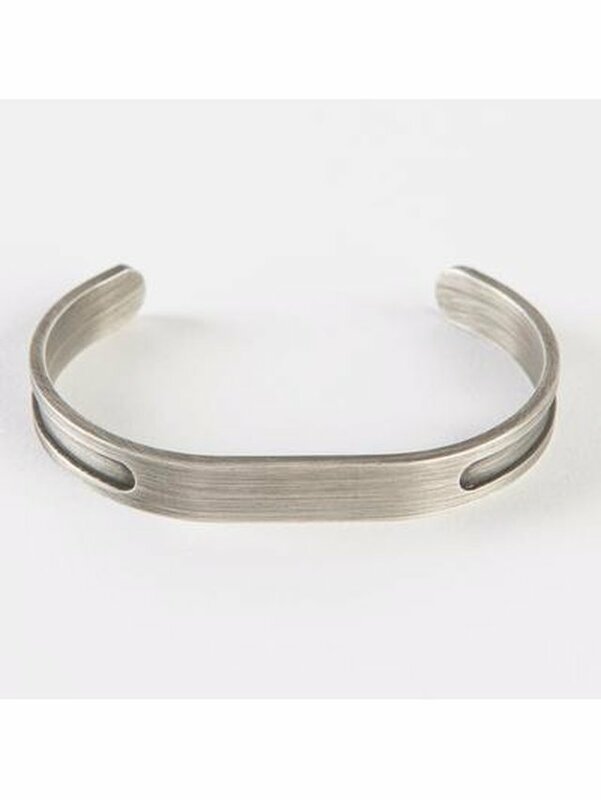 This cuff opens with a cc logo push closure on the side. 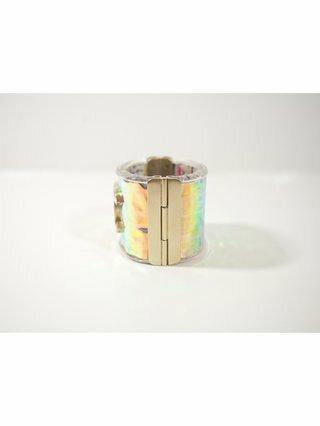 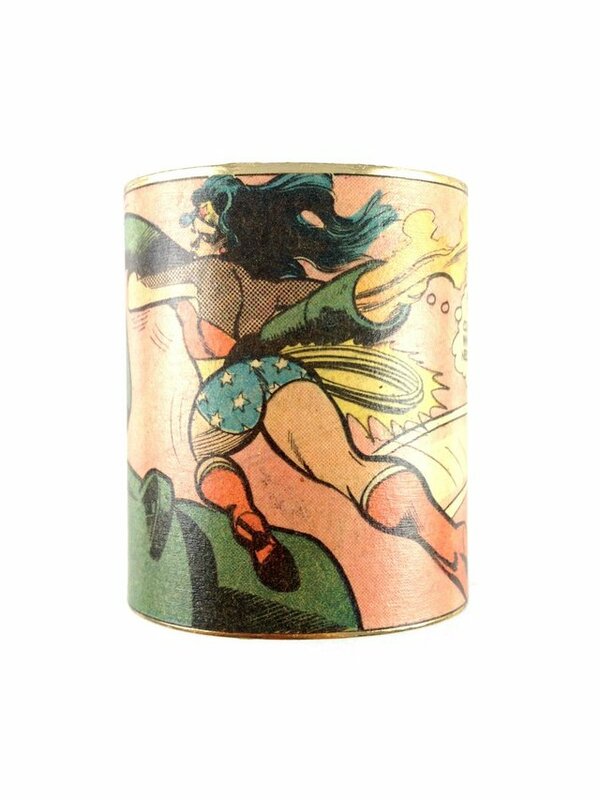 One Size 2.8cm / 1.1" 2cm / 0.8"